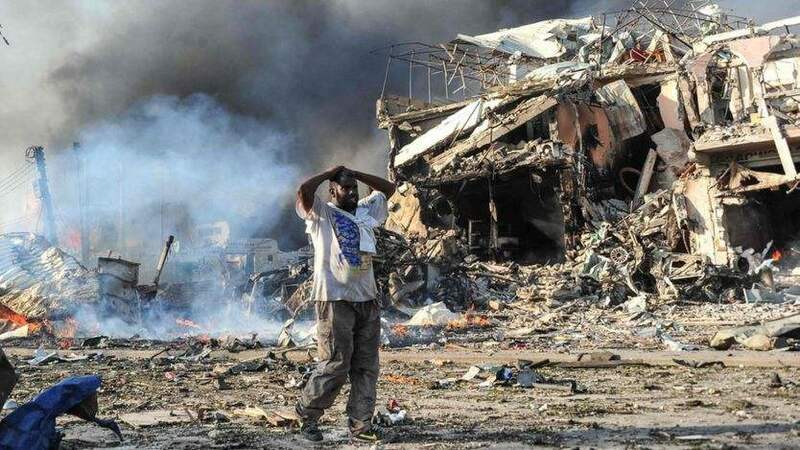 Something unusual happened in Somalia after the bomb attack that killed 358 people on October 14: Many Somalis went quickly to hospitals to donate blood for the victims. There was a great need for blood to help people after the bombing in Mogadishu, the capital. Hundreds of people were wounded in the attack. But in Somalia, blood donations are not very common. Many Somalians do not want to give blood because they are afraid of sharp needles or concerned they might catch a disease. Others believe there might be religious restrictions on donating blood. For these reasons, Somalia has lacked blood banks for more than 20 years. This made it difficult for hospitals to treat victims who had lost large amounts of blood. When the bomb exploded, doctors in Somalia immediately contacted hundreds of people who had pre-registered as blood donors. They also launched a social media campaign, including a Facbook page, to seek out new donors. Omar Habeeb completed medical school at Benadir University in Mogadishu. He says the Facebook page got over 500,000 views on the day of the bombing. "Then hundreds of people voluntarily poured into the hospitals to donate blood," he said. Many of the blood donors were sent home because hospitals were not prepared to store the blood they did not need right away, Habeeb said. But these would-be donors were registered to be contacted in the future when blood is needed. Najma Ali Moalim is another young doctor in the group. She was among the first medical workers to arrive at the site of the bombing. "The fact that the country has no blood bank, and that we have seen patients dying because of loss of blood - including children, pregnant women, and gunshot patients - we have decided to stand up and ask our people to donate," she told VOA. Mohamed Aden Jama is a young medical student who was among the blood donors. She says blood is the most valuable thing a person can donate. "And for me it means saving a life, saving the life of a brother or sister," Jama said. Religious leaders and health officials are also using information campaigns to tell Somalis there are no religious restrictions on giving blood. In addition to their work on blood donations, the doctors' group is supporting another social media campaign that is raising money for families of bombing victims. Police officers have continued to sift through the wreckage following yesterday's bomb attack. This blood bank nearly has little blood, therefore, the patient emergency case unable to donato blood now. 5.In addition to their work on blood donations, the doctors' group is supporting another social media campaign that is raising money for families of bombing victims. 6.They also launched a social media campaign, including a Facbook page, to seek out new donors. Now is the time for local companies to seek out business opportunities in Europe. Children seek out regularities and rules in acquiring language.